According to a story this week in the Hollywood Reporter, CBS has taken legal action to terminate and/or receive damages under its retransmission consent deal with Dish Network on the grounds that Dish fraudulently concealed its as-yet-unreleased Hopper DVR functionality. The papers quote a December 16, 2011 email from CBS executive vp Martin Franks to Dish executive David Shull that allegedly made it clear that CBS was not "looking to have this arrangement include new businesses that DISH may choose to enter into in the future, whether they be Netflix-like businesses, new mobile services, or other new platforms." The grant of rights is an increasingly complicated topic in retransmission consent agreements between broadcasters and distributors. The standard for the grant of broadcast rights is codified in the FCC must carry regulations. Cable operators carry the linear channel of programming as supplied by the broadcaster on a full time continuous basis without editing or other interruption. Cable networks, in contrast, often grant broader rights to use their content. For example the programmer might allow the channel to be encoded to be delivered within the subscriber's home to computers, tablets and phones. Alternately, the programmer might allow certain programs to be made available on a video-on-demand basis. Either the live channel or selected programs might be made available to subscribers outside of their homes (e.g., TV Everywhere). 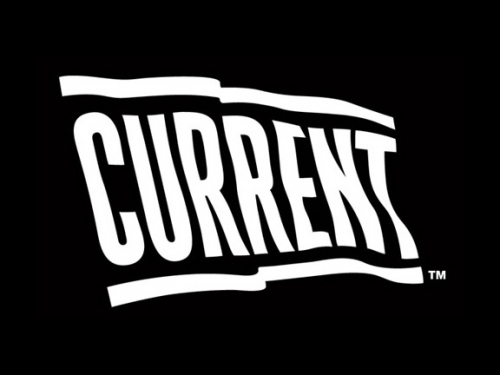 Further, a distributor might wish to have the right to distribute content online unrelated to its delivery of the linear channel to cable video subscribers. For example, the operator might look for the right to operate their own iTunes-like store with video downloads of select programs (for free or for a fee). To the extent that anyone actually launches a virtual MSO (delivering a cable-like package of services over-the-top, without necessarily owning the connection into the subscriber's home -- Sony, Microsoft, Intel, Apple and Dish Network are among those rumored to be interested in such an offering and Dish already delivers some international channels on such basis as does religious broadcaster Sky Angel), it is clear from Martin Franks's quote above that CBS was not planning on granting such rights to Dish. But is the Hopper a new platform that requires a broader grant of rights from a programmer? It is hard to see how that is the case. 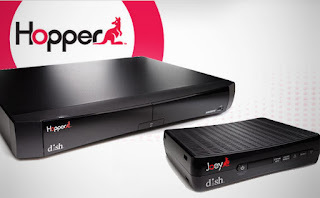 For those unfamiliar with Dish's Hopper, Hopper is a souped-up DVR that can, with a single request from a user record all the Big 4 Network prime time programs and with a second request, skip all of the advertisements in such programs when they are played back. The DVR technology itself is not significantly different from other DVRs. Hopper has more tuners than usual (4 vs. 2) and more storage space than usual (2TB versus hundreds of MB in older cable DVRs). I think it is unlikely that CBS has restrictions in its retransmission consent agreements addressing the number of tuners nor the storage capacity of the DVRs deployed by its affiliates. The Hopper includes a new extended variation on the "season pass" programming option. Rather than recording every airing of a particular show -- which networks love, note this "set your DVR" campaign for Fox's new series The Following -- it will record ALL the Big 4 broadcast prime time shows. Instead of record all episodes of this show, record all shows between 8 and 11PM (7 and 11PM on Sunday) on ABC, CBS, Fox and NBC. An ordinary DVR could do the same thing, but would require MUCH more work on the part of the user (each program would have to be selected individually and any changes to the schedule would necessitate another individual selection - e.g., when Sunday Night Football ends and something else slides into that time slot on NBC). Anything that encourages more viewing (like recording) would seem to be a good thing for a programmer. Given that the broadcast programming is now more conveniently available than cable programming (which is not so easily recorded), it seems that, if anything, Dish is helping the broadcasters by offering this functionality. It appears that one of CBS's arguments is that the Hopper is some sort of de facto VOD system (an argument Fox makes in their lawsuit). However, it seems that Fox's argument could equally be applied to any DVR and the fact that DVRs existed at the time that Fox entered into a VOD agreement with Dish would suggest that both sides understood VOD and DVR to be two different things. Then there is the Hopper's automatic-commercial-skipping "AutoHop" functionality. This feature is the real rub for the broadcasters. 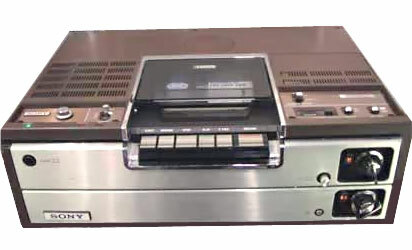 With AutoHop engaged during playback of a program, the program jumps from the end of one program segment to the start of the next, "hopping" over the commercials. (How effective it is at skipping network advertisements, local advertisements, promotional spots, etc. I do not know, as I don't have the device -- please comment if you do.) What's interesting about AutoHop is that is does not have to do with making copies and copyright is the basis for the programmer's control of its rights. It is widely believed that most people who use DVRs do not watch the commercials when they watch their recorded programs. This is a behavior has been extensively researched by Nielsen. If there continues to be substantial commercial viewing going on in recorded programs it is unclear if viewers are forgetting that they can skip the commercials (because watching the recording feels like watching a live program and watch television to veg out) or if they are enticed by the commercial content (an ad for a soon-to-be-released movie may not be something to skip if you are interested in the movie). Perhaps the current data are not sufficiently pessimistic about the viewing of commercials in DVR playback. It could be that DVR users are not yet fully attuned to living with the device and will fast-forward through more commercials as they become more habituated to it. One thing is abundantly clear, no one likes the idea of "having" to watch commercials, so a single button which shuts them off is a pretty attractive proposition for viewers. For those who see the DVR as a throwdown, a creative challenge to advertisers, the Hopper makes that a no-win game. It is not hard to be sympathetic with the programmers in that respect, the game is changing on them, through no fault of their own. 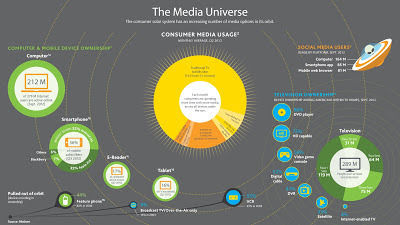 Right now, television programming is supported by a mix of advertising and user payments. To the extent that Hopper-like DVRs make the advertising business less attractive and...big assumption...the big brand advertisers have someplace to go and stop spending as much on Big 4 broadcaster advertising inventory, then either broadcasting becomes less profitable or the user payment proportion will have to go up. As I look at this issue, it is not hard to be struck by the history of the sale of broadcast television advertising. There is recent history that a change that should have devalued broadcast network advertising -- the rising viewing of cable networks and the concurrent drop in the audience delivery for broadcasters -- did not seem to destroy the broadcast advertising business. In fact, the broadcasters, despite far smaller audiences than they had 20 years ago, charge far more for their audiences now. They are still are a superior reach vehicle. If the court does not find for the broadcasters in their disputes with Dish, there is still recourse available to them. After all, the broadcasters negotiate with Dish for the carriage of their programming. To the extent that CBS believes that the Hopper is having a negative impact on its advertising business, CBS is free to propose a renewal of the retransmission consent agreement (whenever it expires -- and there probably won't be too many Hoppers deployed before that date arrives) in which rate structure that reflects the Hopper's impact. For example, Dish might pay CBS $2 per subscriber per month for all subscribers who receive a given CBS station but get a $1 discount for subscribers who do not have an AutoHop DVR. The gradations could get much finer than this. Customers with no DVR (or perhaps a new one that automatically deletes programs after the end of the C3 window) might get the lowest rate, customers with small-capacity, single tuner DVRs a slightly higher rate, etc. Broadcasters negotiate exactly these sort of things when they negotiate VOD rights (availability windows, disabling fast forward functionality). To the extent that the broadcasters want to negotiate DVR functionality with the distributors, they can always make such requests. However, to the extent that they do so, and distributor DVR functionality is curtailed or priced at a premium, it will create an opportunity for third party DVRs (e.g., TiVo, Windows Media Center) which are do not have to negotiate such rights with programmers. Much of what is different about the Hopper is what is also inevitable -- with more tuners and more storage space, and more sophisticated and simple programming options -- the nature of the DVR will change from something whose use is limited to a handful of programs stored for a modest amount of time to something that could store large numbers of programs effectively for as long as the subscriber might want to keep them. 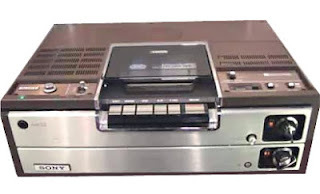 Unless the Betamax precedent is thrown out, it seems that the broadcasters are going to have to find a way to negotiate this new environment. Updated (28 Jan 13): Per The Verge, CBS has taken the unusual step of not allowing its CNET subsidiary, which reports on consumer technology, from reporting on the Hopper or Aereo, because the parent company is suing both firms. Somewhere, Frank Stanton is rolling over in his grave. Updated (12 Feb 13): Dish has rolled out a new Hopper commercial, about the death of commercials. I don't understand why they use "Boston Guys", when Dish is far more popular in the West and actually less penetrated in Boston than most places. According to an article in today's LA Times, Fox is considering rebranding its Fox Soccer Channel to be an entertainment service similar to its FX. In fact, it might be called FX2. This change would be on the heels of the long-rumored conversion of Speed Channel to a more direct competitor to ESPN with the name Fox Sports 1. I have not researched this issue that fully, but it seems that the conversion of the format of cable programming channels has accelerated in the last decade. (I've got a running list of significant name changes going here). Channels changing formats is a symptom of the greater leverage programmers have vis a vis distributors. When cable was a monopoly business (which ended in part when DBS entered the market in the early nineties and accelerated when DBS got the right to provide local broadcast signals in 1999) there were few in-genre competitors to the top cable services. Distributors (and subscribers) got services like BET, American Movie Classics, HGTV, Food and History instead of another sports or news or general entertainment network. The most important concept that distributors wanted in a new channel was to expand the variety of their offerings. Since basic cable prices were going up, saying that you were offering a channel providing something new and different was a good story and especially valued was a channel that could bring in new subscribers. That's why we got Speed and Golf and Outdoor Life and Tennis instead of another general multi-sports service just like ESPN. It didn't have to be this way. ABC, CBS and NBC were (and still are) virtual clones of each other offering the same kind of programs (sports, news, kids, entertainment) at the same times (weekends, after dinner, Saturday mornings and prime time). Cable programming could have developed upon those lines -- with more USAs and TBSs, but the niche channel approach was much better for the system (meaning the multiple system operators, the distributors who called the shots). Channels with original programming in their own niches could control their costs -- CNN created its own programs, ESPN wasn't bidding against anyone else for the rights to secondary sports events, Discovery wasn't bidding against a lot of others for documentaries, the off-network "movies of the week" ended up on Lifetime. Channels with their own niche also had an easy time promoting their programming -- each channel offered a dependable destination for a certain kind of programming -- the program guide was not as necessary for cable services as it was for broadcasters. For the distribution system as a whole, the worst thing would be to have lots of channels that were bidding against each other for the same kinds of programming with the winner presenting a bill to the distributor for the cost of the high bid. In other words, exactly the situation they face now with top sports rights. 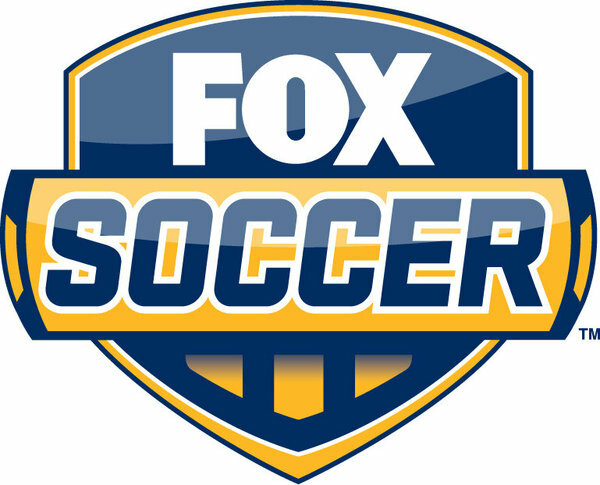 Update (28 Jan 13): Per Deadline, the conversion of Fox Soccer will be part of a plan to split FX's programming across two channels with drama on the flagship FX network and comedies on the new channel to be dubbed FXX. This echoes the split of Turner's entertainment networks into comedies (TBS) and dramas (TNT). Yesterday at CES, Internet-delivered TV provider Aereo announced plans to launch its service in 22 additional markets this year (All Things D story). Currently, Aereo provides service only within the New York City DMA. Not coincidentally, Aereo announced an additional $38 million in financing. The expansion of Aereo's footprint makes it more competitive with the incumbent pay TV providers (cable, DBS, telco), but the nature of its product makes it a relatively poor substitute for the multichannel service to which most households subscribe. Tivo's monthly fee is $15. 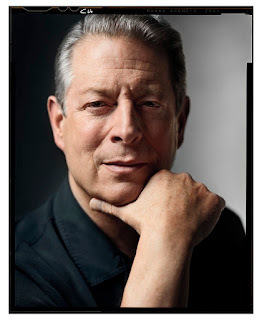 There is no recurring monthly fee for an antenna or the DVR functionality of Windows Media Center, although there is an upfront cost to both of them, which might be substantial, particularly in the latter case if one needs to buy a computer (rather than repurpose one he or she already has). In this context, Aereo's $12 per month cost is reasonable. The easy delivery to browsers rather than TV sets is, right now, probably a significantly smaller segment of the market than the alternative, but it is not hard to imagine that there are some customers who might prefer it and that group is certainly growing. The other "cable alternative" would be to subscribe to DVR service and the basic tier of service from your cable company. 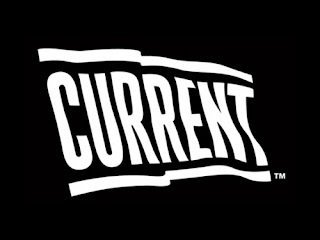 The basic tier (a/k/a lifeline, broadcast basic, or in the FCC patois Basic Service Tier) typically runs in the ballpark of $18 per month and DVR service is likely around $20 including the cost of the rental of the DVR itself (this combination is never marketed by a cable/DBS/telco provider, but it is at least theoretically possible to buy it if one were to call up, ask for it specifically and be persistent). Aereo's $12 service looks like a pretty good value relative to this, especially for the computer and tablet-oriented. As a substitute for a traditional multichannel subscription, Aereo's offering is a poor fit. Despite the rapid growth of TV viewing via computers, tablets and phones, the vast majority of viewing is still on a television set. Alos, a key part of the value of a multichannel subscription is the availability of basic (ESPN, TNT, USA, Fox News, etc.) and premium (HBO, Showtime, etc.) cable programming. I believe that fewer than 10% of customers who have a multichannel subscription only have the most basic level of service or what could be considered "antenna service" (a lot of these customers may be in "classic" cable markets -- places where getting a decent broadcast signal with an antenna is difficult or impossible -- e.g., the valleys of Pennsylvania, rural areas in Oregon, Manhattan). 90+% of customers buy multichannel television to get additional viewing options. All of this is not to say that Aereo has no future. The addition of Bloomberg TV to the lineup shows that Aereo is open to offering additional channels. However, the choice of Bloomberg, which is live streamed 24/7 at http://www.bloomberg.com/tv/ , doesn't add as much value Aereo's subscription as a service that was not otherwise so available -- e.g., Food Network or Lifetime or E!, much less the proverbial 800 lb gorilla of cable programming, ESPN. I would be stunned if the Aereo folks do not know this. they do not have the rights (from their program suppliers) to distribute one or more programs via the Internet. As the FCC clarifies the definition of Multichannel Video Program Distributor, it is possible that online video providers like Sky Angel (whose lo-o-ong simmering case is pending) will be considered MVPDs. This would effectively render the "streaming restrictions" and rights issues highlighted above moot. As time passes, the regulatory apparatus is likely to make "streaming restrictions" illegal (rationale: they are anticompetitive) even without a wholesale redefinition of MVPD. Aereo's subscriber base could grow, making the risk of alienating their incumbent customers (i.e., cable, DBS and telco) more worthwhile for certain programmers. Research could show that Aereo's subscriber base is not competitive with the incumbent providers, but is tapping a different market which would make the incumbent providers slightly less uncomfortable about the competition. In any event, part of the equation for Aereo to becoming an attractive business (or at least a viable one) is to create enough scale to cover the likely considerable fixed cost of developing their system and company. Being in more markets is a necessary next step to doing so.